The exhibition, curated by Allison Holland, includes costumes from The Dark Knight and Brokeback Mountain. Photos: Daniella Jukic. An exhibition dedicated to the life and work of one of Australia’s most acclaimed acting talents, Heath Ledger, has opened at the National Film and Sound Archive (NFSA) on the 10-year-anniversary of the actor’s tragic death. 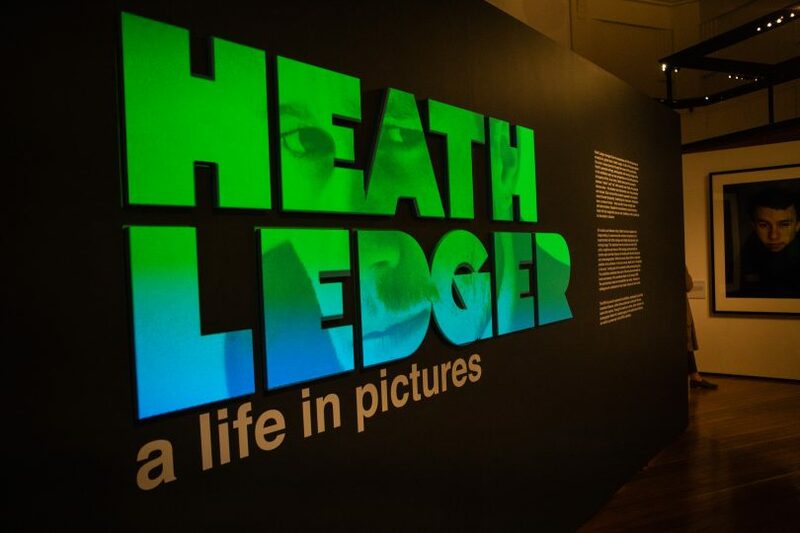 The mixed medium exhibition titled Heath Ledger: A Life in Pictures, which will run at the NFSA for the next six months, is a bittersweet glimpse of a talented life cut too short while honouring the incredible work the Australian icon achieved during his 28-years of life. The exhibition, curated by Allison Holland, includes costumes from The Dark Knight and Brokeback Mountain, the private journal he kept to produce his most famous character, the Joker, and his Academy Award which he won posthumously. From his younger days when he first burst on the scene as teenage heartthrob Patrick Verona in 10 Things I Hate About You, to intense roles as the Joker in the Dark Knight Rises and the drug-addicted Dan in Candy, Ledger was always looking to push the boundaries and create iconic roles. But as the exhibition shows, his talents weren’t just limited to acting – his creative pursuits took him down many paths in which he had quietly excelled. Ms Holland started preparing for the exhibition eight years ago when the Western Australia Museum asked her if she was interested in looking at the Ledger family’s collection. Going through the archives, Ms Holland said there were a few things that surprised her about the iconic actor’s life. “I was surprised that he was such a prolific photographer,” Ms Holland shared. “I was also surprised to find out his interest in directing and that he was working towards being a grandmaster in chess, which was a very important strategy in his life and a great passion of his. NFSA CEO Jan Müller saw the exhibition when it was in Perth and immediately knew the snapshot of Heath Ledger’s life needed to be shown in the nation’s capital. Abbie Cornish in front of her favourite portrait in the exhibition. Abbie Cornish, who starred alongside Ledger in the 2006 Australian romantic drama Candy, made a guest appearance at the NFSA to launch the opening of the exhibition and said the late actor was like a brother to her. Speaking to the gathered media during the preview, Ms Cornish said the striking portrait which depicts Ledger before his death, whispering to himself, was her favourite piece in the exhibition. “There is a number of reasons why this portrait behind is my favourite piece in the exhibit: it was painted just before he passed away but also Heath really loved the painting,” Ms Cornish said. “He loved how it captured aspects of what it meant to be Heath and these sets of voices that he had to choose to listen to. Developed with the help of the Ledger family and the Western Australian Museum, the exhibition arrives in Canberra after a successful run in the actor’s hometown of Perth. 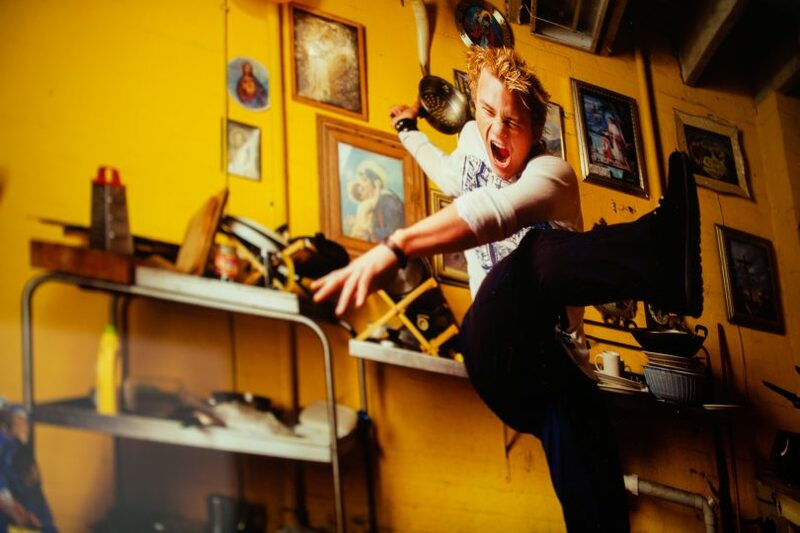 “We are very excited the NFSA has decided to pick up this exhibition for so many reasons, mostly because it gives both east side Aussies and inbound tourists a chance to enjoy a sensitive and lovely insight to the life of our talented young man, Heath!” Ledger’s family said in a statement. Below is a snapshot of some of the exhibits you’ll be able to see at the exhibition. 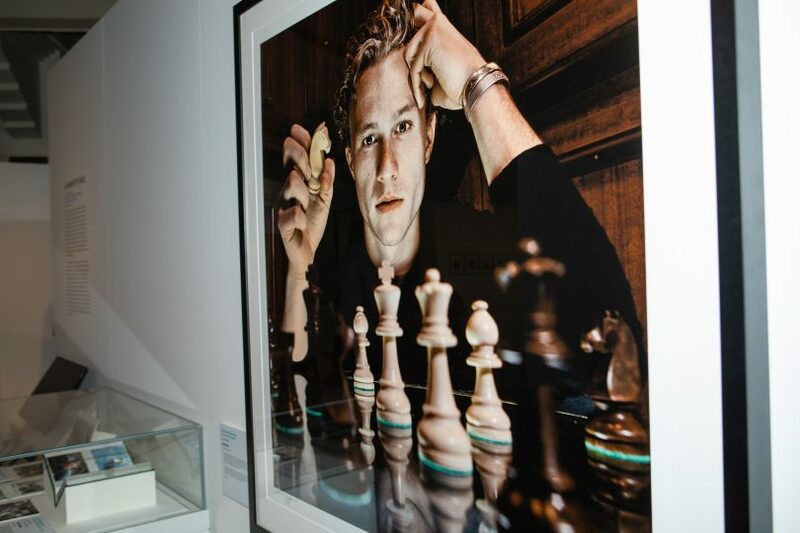 One of the many portraits of Heath Ledger on display at the free exhibition. Ryan Corr and Abbie Cornish at the media preview. 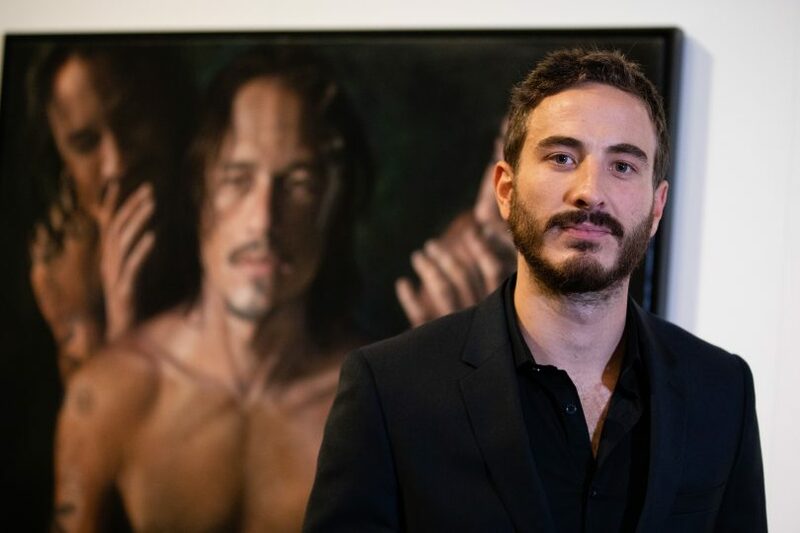 Ryan Corr was the recipient of the Heath Ledger Scholarship in 2011. 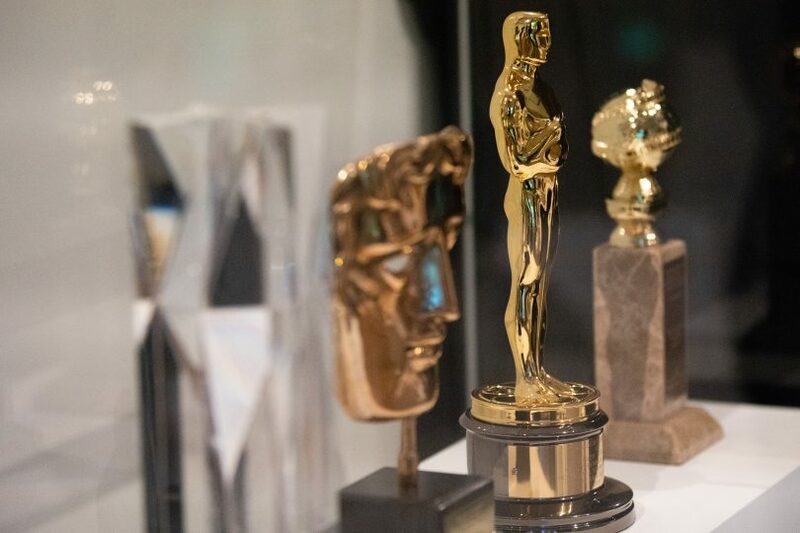 Ledger’s Best Supporting Actor Academy Award on display. 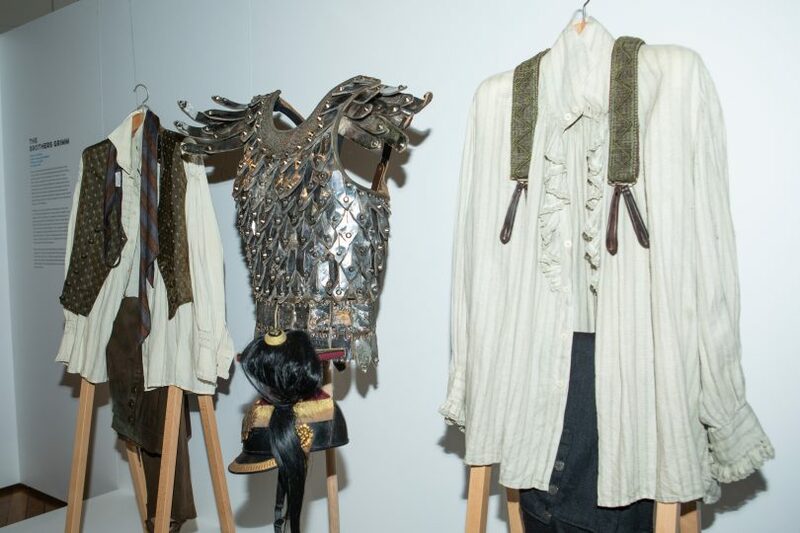 Costumes Ledger wore in Brokeback Mountain, and The Imaginarium of Doctor Parnassus, Ned Kelly, The Dark Knight and many others are on display. 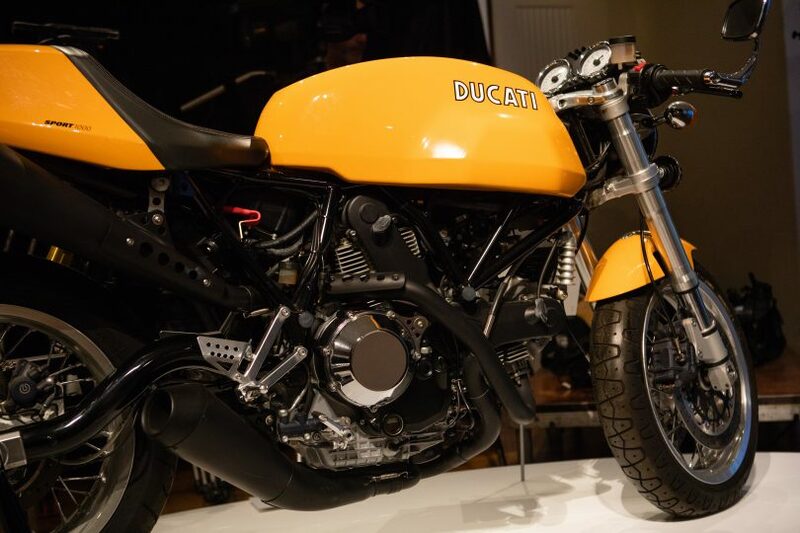 Ledger’s passion for motorbikes is well-documented.